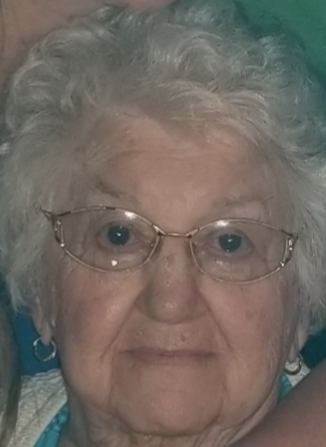 Lucille Helen Miller of Red Bud, Illinois passed away on Sunday, July 1, 2018 at R and R Country Care Senior Living Center in Ruma, Illinois, having attained the age of 93 years, 3 months and 15 days. Born on March 16 1925 in Gregory Landing, Missouri, she was the daughter of Joseph and Jennie Mae Gallup, nee Riordan. She was united in marriage to Milton R. Miller on January 27, 1945 in Burlington, Iowa and he preceded her in death on April 17, 2002. Lucille was a homemaker and member of the Jehovah’s Witnesses. Preceding her in death besides her husband, Milton, R. Miller were her parents, her brothers, Marion Gallup, Joseph Gallup, Fred Gallup and Blinn Gallup; her sisters, Kathrine Sourwine, Margaret Gallup and Nellie Gallup and her grandson, Andrew Miller. Surviving are her children, Dennis M. (Colleen) Miller of Red Bud, Illinois, Steven (Robyn) Miller of Casselberry, Florida and Jeffrey “Jeff” (Susan) Miller of Bluffton, South Carolina; her grandchildren, Tonya (Andrew) Pieper of Polo, Missouri, Mark (Casey) Miller, Micah Miller, both of Waterloo, Illinois, Jonathan (Kacie) Miller, Joel (Casey) Miller, both of St. Louis, Missouri, Alexia Miller of Coralville, Iowa, Sashia (Jamie) Wells of Knoxville, Tennessee, Haleigh (Drew) Knight of Bluffton, South Carolina, Samantha Miller of Wintersprings, Florida and Andrea Miller of Bloomington, Indiana; her great- grandchildren, Kendra Miller Johannah Miller, both of St. Louis, Missouri, Dawn Pieper, Collin Pieper, Lucas Pieper and Devin Pieper, all of Polo, Missouri, Dax Knight, Oliver Knight, both of Bluffton, South Carolina, Nash Wells and Noah Wells, both of Knoxville, Tennessee, her sister, Alice Dustman, nieces, nephews and many friends. Memorial contributions to the Kingdom Hall of Jehovah’s Witnesses appreciated. As per her wishes, her body has been cremated and there will be no formal visitation. A memorial service will be held on Saturday, July 28, 2018 at 2:00 P.M. at the Kingdom Hall of Jehovah’s Witnesses, 6760 Hunt Road, Burlington, Iowa with Brother Allen Pygott officiating. Inurnment will follow at Spring Grove Cemetery in Burlington, Iowa. The Creason Funeral Home in Waterloo, Illinois is assisting the family.